Defining the English garden depends on the garden fashion at that particular time. 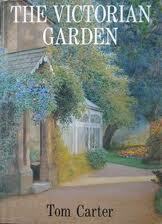 Carter gives us some idea of what the English garden meant for a good part of the nineteenth century. 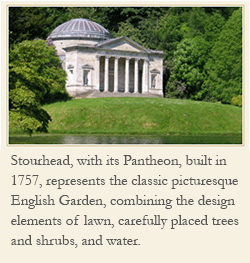 Much of that definition of the English garden endured into the next century as well. By the end of the century its meaning would include garden fashions like carpet beds, the wild garden, Gertrude Jekyll’s herbaceous borders, the arts and crafts movement, and a return to the formal garden. 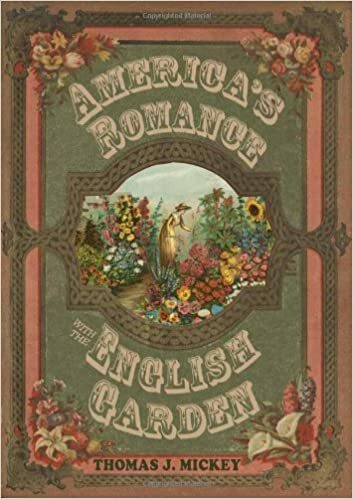 The nineteenth century seed companies and nurseries, like any business, supported garden fashion, which for American gardening turned out to be the English garden in its various forms.